Project OMG: Caper woes – HubNut – celebrating the average! This collection caper has rather hit the buffers then. 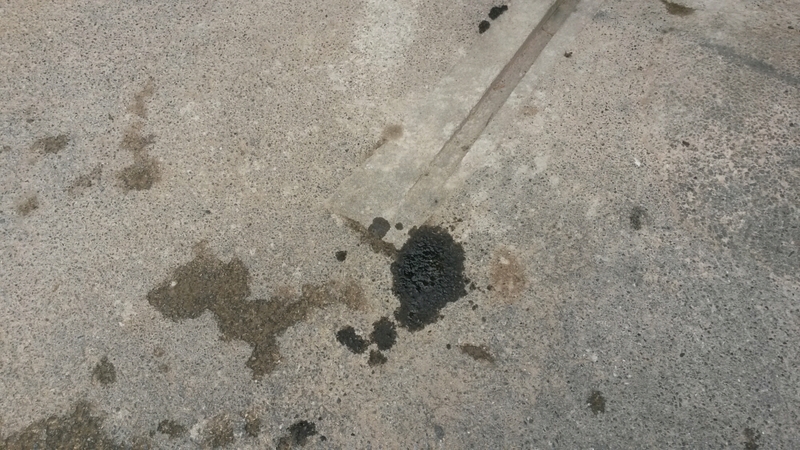 I do need to address the diesel leak, because it left this stain while waiting for the test. 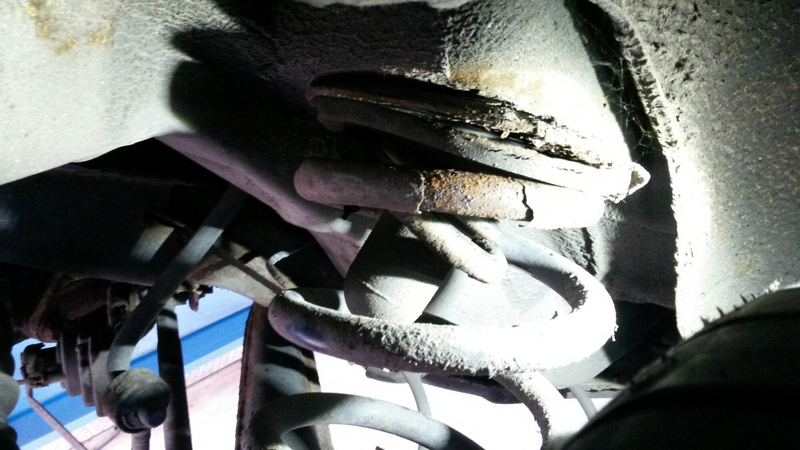 Though the snapped rear spring is also a good reason to seek assistance. Not ideal. I found a couple of garages, but both were too busy. I have now found one a little further away, so I’m hoping they can at least get started on fixing it this afternoon. There will be a break in proceedings though, as they’re busy until at least half three.